Alex Bregman, a Jewish player and one of Major League Baseball’s top prospects, has been called up by the Houston Astros. 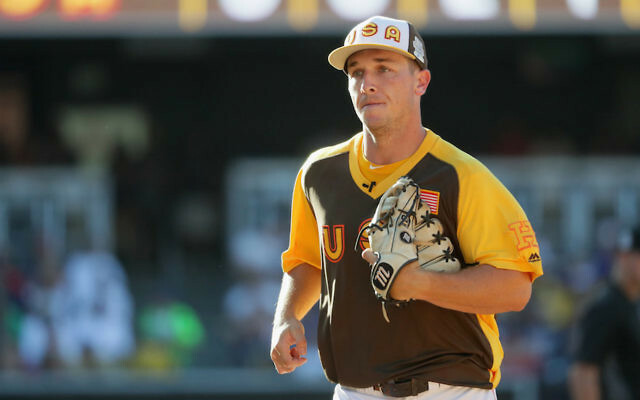 Bregman, 22, will make his debut on Monday night against the New York Yankees after being promoted the night before from Houston’s Triple A Fresno minor league affiliate. He will likely play third base and the outfield for the Astros. Bregman is the son of two lawyers and hails from Albuquerque, New Mexico, where he attended Congregation Albert, the city’s oldest synagogue. He was the second overall pick in the 2015 MLB draft and is currently ranked the 19th best prospect in the game by ESPN. He was hitting .333 with six home runs and 15 runs batted in 18 games with the Fresno squad. 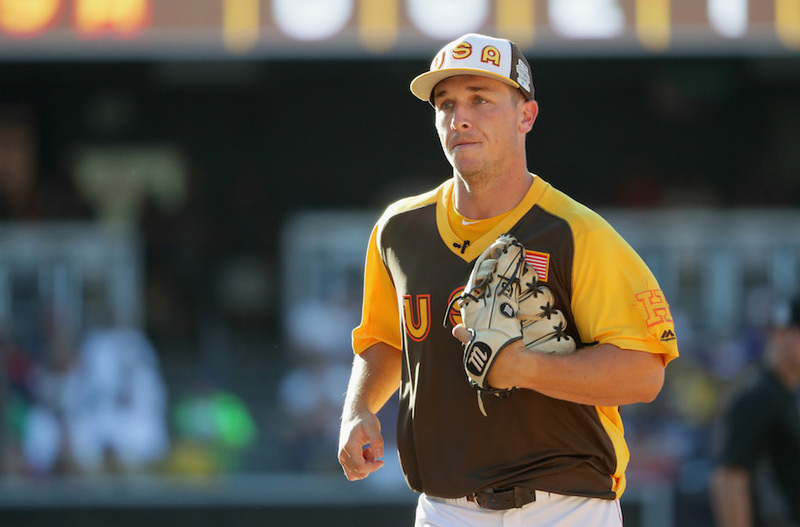 Bregman, who was an All-America shortstop at Louisiana State University, said the first thing he did after getting the call from the Astros was to call his mother. “She was screaming,” he said. The only Jewish player to be drafted higher than Bregman was Ron Blomberg, who was drafted No. 1 overall by the New York Yankees in 1967 and became baseball’s first designated hitter. Tablet reported that Bregman’s grandfather Stanley, who was the son of Russian Jewish immigrants, worked with baseball’s Washington Senators (the second team with that name, which eventually became today’s Texas Rangers) through his law firm.